During the working day, professional welders are exposed to a collection of fumes, sparks and heat that can be a real danger if not adequately protected against. Finding the best safety equipment is key and being able to identify the right type of protection for each job can sometimes be a tricky process. One of the most important and protective pieces of equipment is a welder’s jacket as they’re excellent for all-cover protection. Welder’s jacket have the advantage of being one piece of safety equipment that will cover a number of different areas, including the torso, shoulders, arms, neck and back, like no other piece of equipment on the market. Jackets can range in material from leather all the way through to complete fire-proofed wool, as well as everything in between - dependant on the temperature of the environment that work is being carried out. 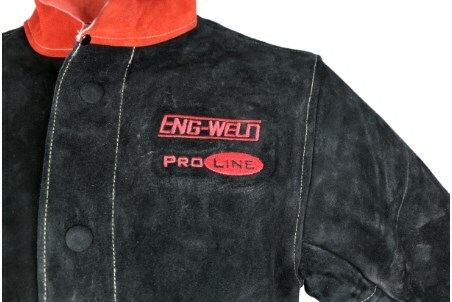 A welder’s jacket will be fire-proofed material as standard and give a user ideal mobility, even when fully closed. The coverage area of a good welder’s jacket will protect against heat from flames, as well as protection from any stray scrap or projectiles whilst on a job. The welding industry is one that recognises the importance of safety equipment like no other, with workers understanding how PPE safety equipment is mandatory, so it’s unlikely anyone you know or work with will be skipping on the correct safety gear. Every piece of welding equipment, jackets included, must meet the EN ISO 11611 regulation – this is an industry standard for welding clothing and something that must be abided by when companies are creating safety jackets. All forms of welding protection will have been thoroughly tested to withstand repeated washings to ensure that it’s completely safe from the day of purpose up to and past the hundredth wash. When purchasing a new welders jacket be sure to take your time and make sure that any potential purchase meets the required safety standards. Outside of these industry standards that a welder’s jacket is required to have, both the comfort and fit are equally as important to ensure your productivity levels are at a high and you can keep going all day. Be sure to try on your jacket of choice to determine if it fits nicely and will allow you to carry out your work in a controlled manner. Engweld has supplied welding equipment and accessories to welding and engineering companies throughout the UK since 1970 and has maintained a track record of providing the best products to meet the needs of welding professionals in numerous industries.